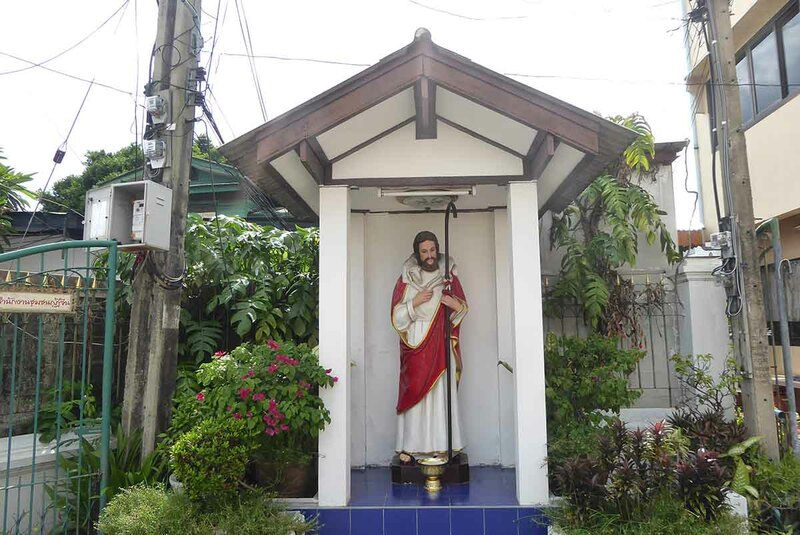 The Catholic Santa Cruz Church was built in 1770 on land donated by King Taksin as a place of worship for the local community of Portuguese merchants and missionaries who had settled in the Kudi Chin area. 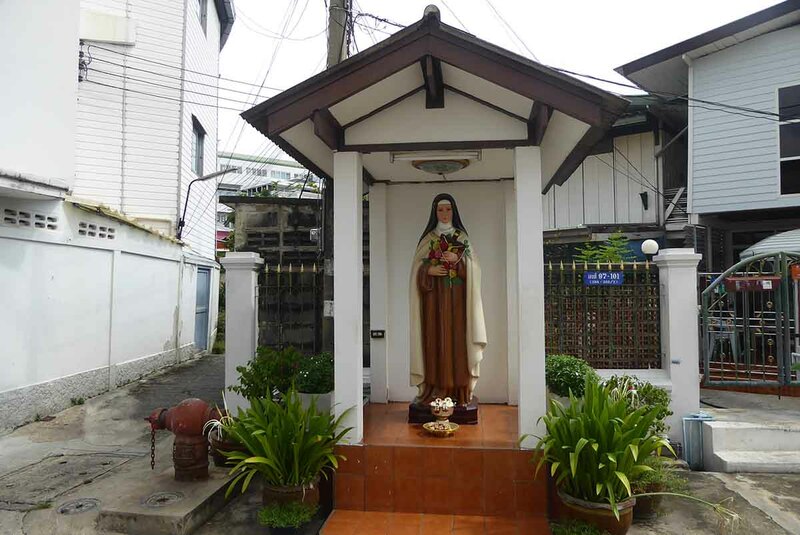 It quickly became a popular church with Bangkok’s Catholic community of the time. The original church was wooden. 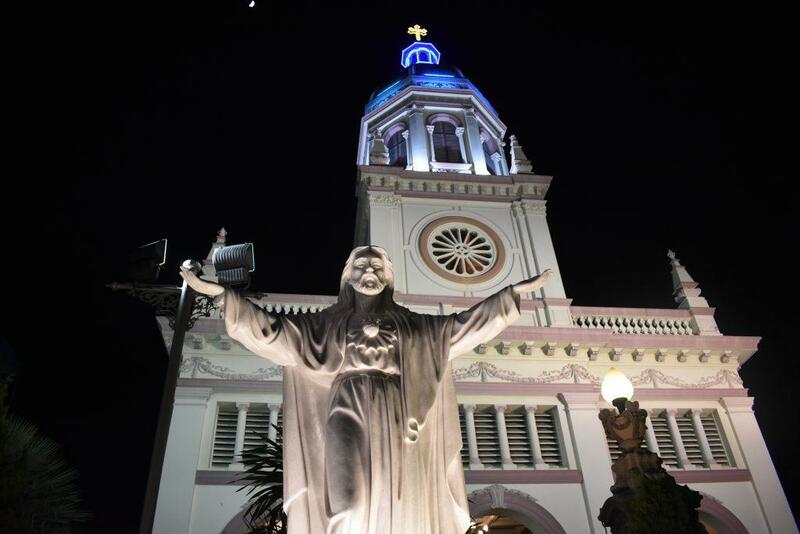 The church was rebuilt in 1834 by the area’s Chinese community in more of a Chinese architectural style and became known as the Chinese Church. 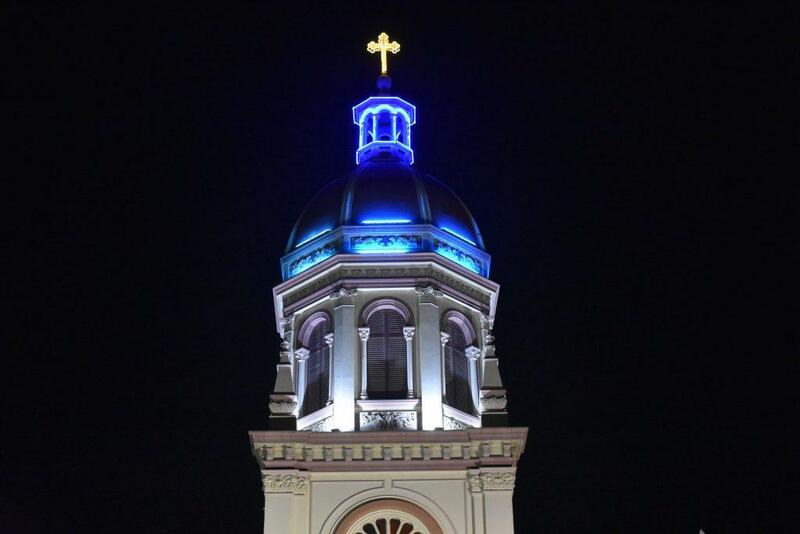 The church was rebuilt for a 3rd time in 1913, this time in a neoclassic and renaissance style by a team of Italian architects. It’s most outstanding feature is the magnificent dome. Inside the church, the stained-glass windows contain biblical images. 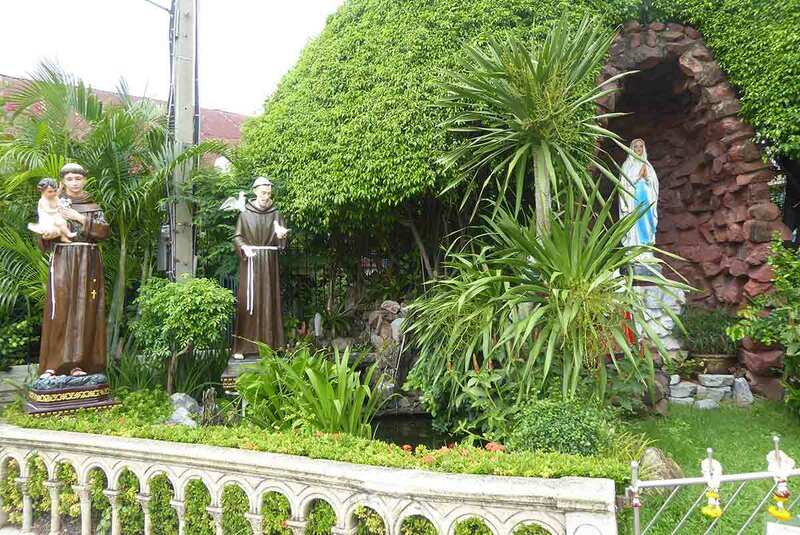 Outside the church are statues of the Holy Cross, St Therese, Joseph, and Mary. 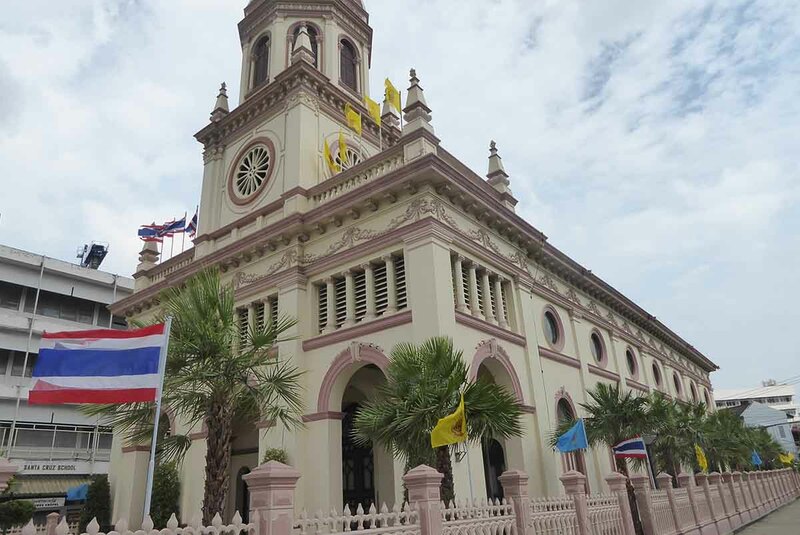 The church still holds services every Sunday from 06.00-10.00 and 18.00-20.00 and has mainly a Thai-Catholic congregation. 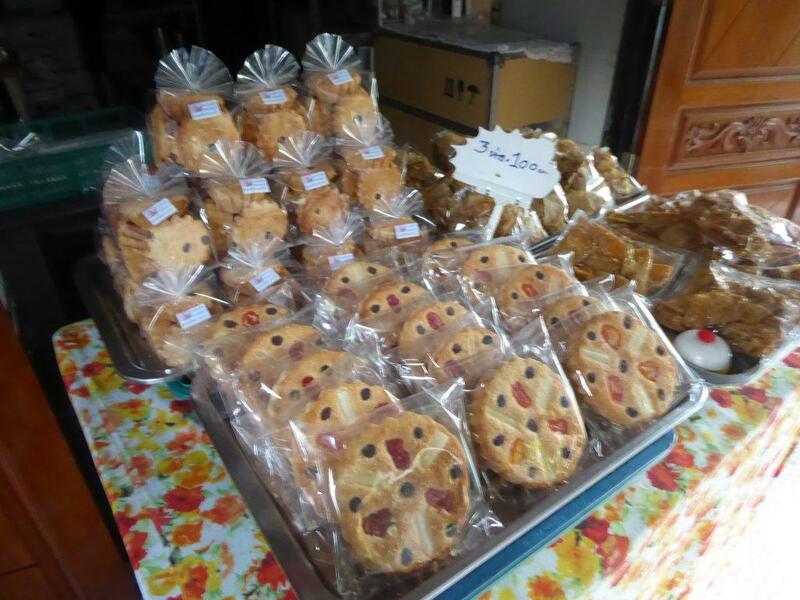 The area around the church has a few old bakeries making and selling Portuguese style cakes and sweets that are known locally as Khanom Kudi Chin. 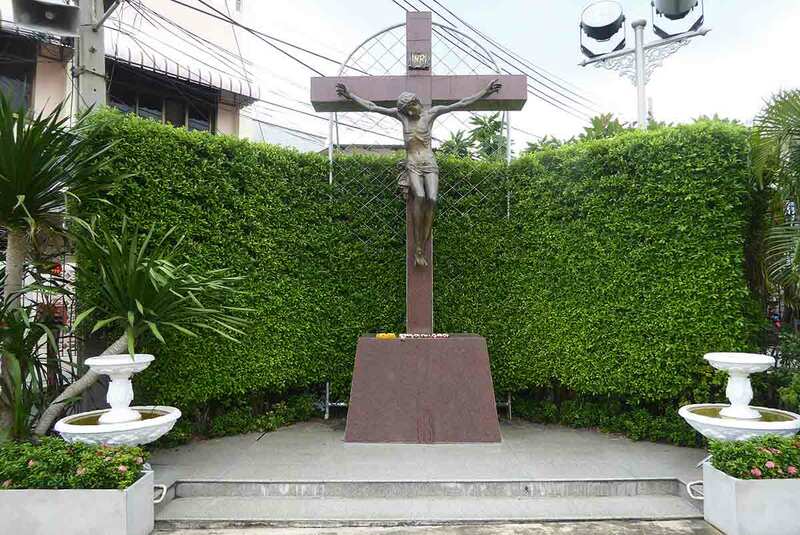 Location: Soi Kudi Chin, Thesaban 1 Road. Opening Hours: 05.00-07.00, 17.00-19.00 daily. Boat: Chao Phraya Express/Tourist Boat to Pak Khlong Talat Pier. Then cross-river ferry to Wat Kanlayanamit Pier or take a taxi (60 baht) from outside Yodpiman River Walk Mall. 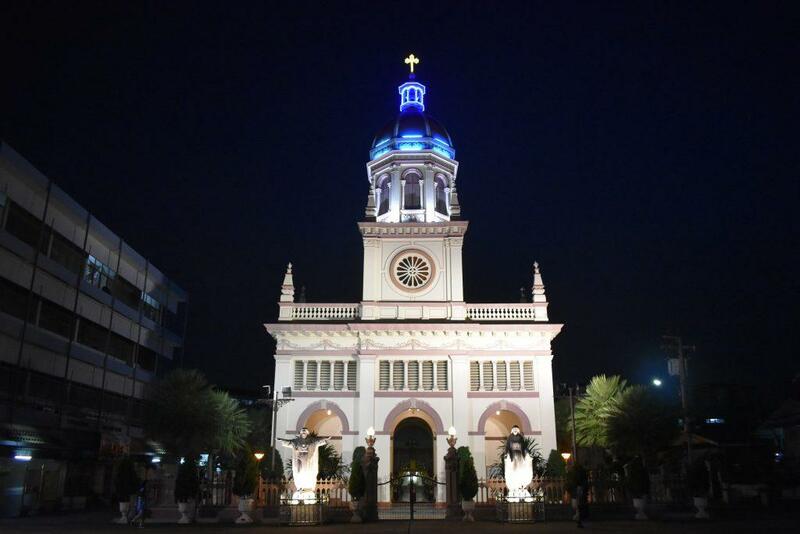 Walk: If walking from Yodpiman you cross the Memorial Bridge and turn right onto Arun Ammarin road and the church is signposted from there.